Web sites, HTML and XML documents including Content Management Systems such as Drupal, Joomla! or WordPress embedded indexing of Microsoft Word, PDF and Framemaker electronic documents, online help, databases and ezines. inform the Web design and development community of the tools and resources for creating Web site indexes; inform the online help community of the tools and resources for creating online help, MS Word and Framemaker indexes; inform the ebook community of the tools and resources for creating ebook indexes; promotes the advantages of human-created indexes to digital media; promote best practices for Web indexing, tagging and ebook indexing. The SIG’s sister SIGs include Taxonomies and Controlled Vocabularies SIG and Periodical and Database Indexing SIG. See our Taxonomies discussion groups. This is to do with metadata and ontology creation. See our Taxonomies discussion groups. 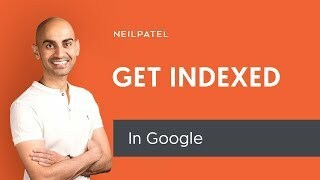 Our intention is to attempt to connect the indexers who are into indexing embedding with the publishers who are in need of such indexing services. The point and the main goal would be to improve and increase the growth of the entire web and electronic indexing industry as we are fully aware how important indexing has become in this new digital era of technology and Internet. Almost every person in this world is using the Internet on a daily basis so it is no wonder that their needs change rapidly each and every single day. One of those needs is the need for more efficient and available web and electronic indexing that allows them to reach the wanted content more easier than ever before. Since the fact is that scientific and IT publishers use and need embedded indexing the most, we wanted to allow the continuation of the vital contact between the indexer and the publisher. That is exactly why this website is absolutely dedicated to everything related to web and electronic indexing including training options and courses. From a beginner to an advanced indexer, everything that a person who plans on to be an indexer needs can be found here as well as a list of software tools for such activities and the techniques to maintain them. Become a member of SIG, learn the basics of web and electronic indexing, and tick your interests and skills. The Internet is a whole new world when you learn how to use it.